Regular household maintenance is one of the best ways to protect your home from damage if a big storm hits your area. Do these tasks habitually so you won’t be scurrying around trying to get them done before a storm is bearing down on you. And even if a big storm never comes, your house will look better and you’ll be keeping up its value. 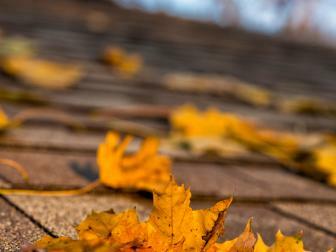 Clean you gutters and downspouts. Remove debris that has collected to ensure that a deluge of rainwater can properly flow through the gutters, and away from your roof and home. Backed up water in your gutter can work its way into the soffits then do interior damage including mold. Or if the gutter overflows in a spot it’s not supposed to, the results can ruin the flowerbeds you've worked so hard to make beautiful. When the gutters are cleaned, make sure the water pouring out of the downspout will be deflected far enough away from your house. Downspouts should carry water at least 10 feet away from your home. 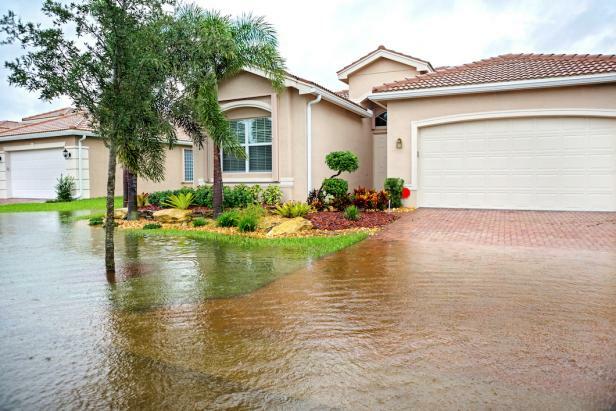 This will help prevent water from seeping into your home’s foundation. If the downspouts don’t move the water far enough, install downspout extension pipes. Here are a few simple tips to help you successfully prune a tree. It’s also good idea to regularly check the stormwater drains in the street near your house to make sure they’re not blocked up with debris. 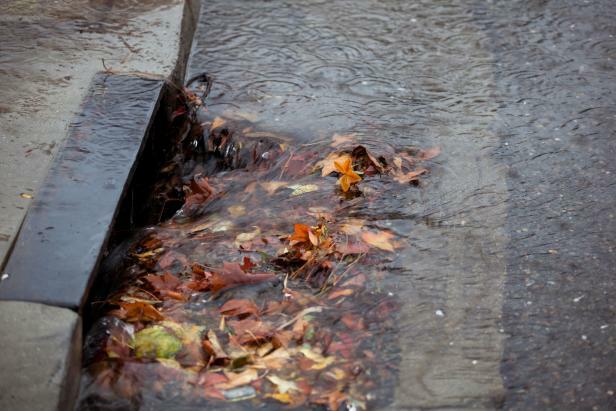 If the street drains are clogged up, you may wind up with a flooded front yard, or worse, the water could seep into your basement. Storm drain partially blocked by fallen leaves on a rainy day. Create a space in your home -- pantry, garage or basement -- specifically for (winter or summer) storm supplies. 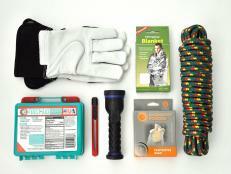 Include items like flashlights, batteries, candles, bottled water and non-perishable foods. Check out the list of storm-readiness supplies on the Federal Emergency Management Agency (FEMA) website, it provides a list of specific items you should have in your storm kit. Check the batteries in your smoke alarms and detectors; you never know where lightening is going to strike. Flooding from storms can taint your water supply, so make sure you have enough potable water on hand. Keep three to four cases of bottled water with your storm supplies. The general rule of thumb is to plan on using one gallon of water per person per day (plus extra for each pet). Put all patio and lawn furniture, toys and garbage cans in your basement or garage or secure them to something solid so they don’t become projectiles during high winds. Remember to close all basement windows and crawl space vents. Use 5/8” plywood to board up windows. This will prevent anything that is airborne outdoors from damaging glass panes. Also, make sure to close blinds and curtains indoors. 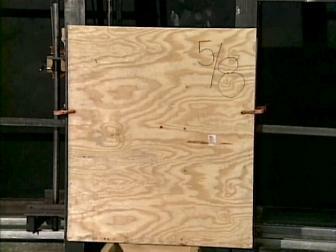 Installing plywood hurricane shutters could make the difference when it comes to protecting your home and possessions during a storm. Make sure exterior doors are locked and secured; consider all shed doors, garage doors and storm doors. 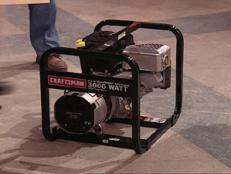 Keep a generator and submersible water pump ready to go in case of a flood or outage. Plan for some non-electronic fun in case the power goes out. Games like charades, Monopoly, Pictionary can help alleviate the stress while you’re waiting for the storm to pass. Or if you’re not into board games, catch up on your reading or do some crafts. Fill up your gas tank before the storm. If the power is out for several days in your area, gas stations may be non-operational. If you anticipate that you may have to evacuate your home, keep an extra supply of emergency materials stored in your vehicle. Include an extra phone charger, food, water and blankets in case you’re stuck in traffic. Avoid using landline phones (if you still have one) during a lightning storm (cell phones are safe, if you have reception). Don’t take baths or showers during an electrical storm. Unplug appliances, computers, and TVs to prevent them from being damaged during an electrical surge. Keep your windows covered with curtains or blinds.